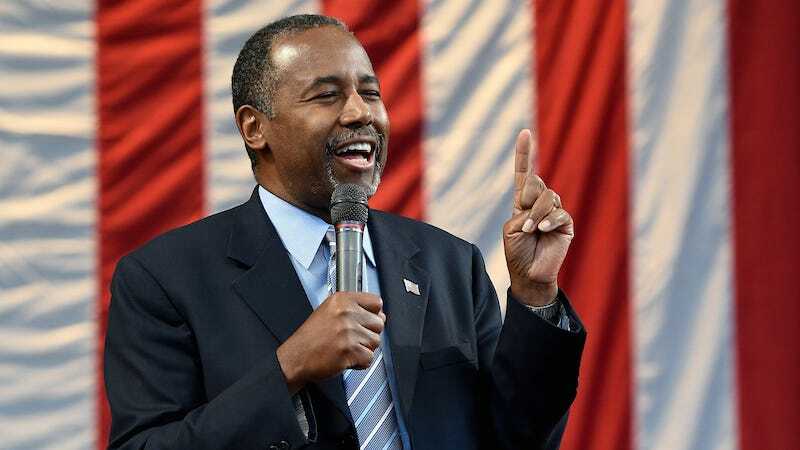 On Thursday, leading GOP presidential candidate and retired pediatric neurosurgeon Ben Carson compared scared children and parents seeking asylum in the United States to rabid dogs, which is not the kind of compassion I would expect a former pediatric neurosurgeon to have. “We want leaders who are not only smart but who care about other people,” he said at a campaign event in Mobile, Alabama, speaking on the topic of whether we should allow Syrian refugees into the country. By the same token, we have to have in place screening mechanisms that allow us to determine who the mad dogs are, quite frankly, who are the people who want to come in here and hurt us and want to destroy us. Until we know how to do that—just like it would be foolish to put your child out in the neighborhood knowing that that was going on—it is foolish for us to accept people if we cannot have the appropriate type of screening. Let’s just take a second to remember the time he called refugees rabid dogs and tempered that statement by noting that he actually loves dogs and would love for them all to be put in a no-kill shelter somewhere outside his city. The compassion of a doctor!!! !